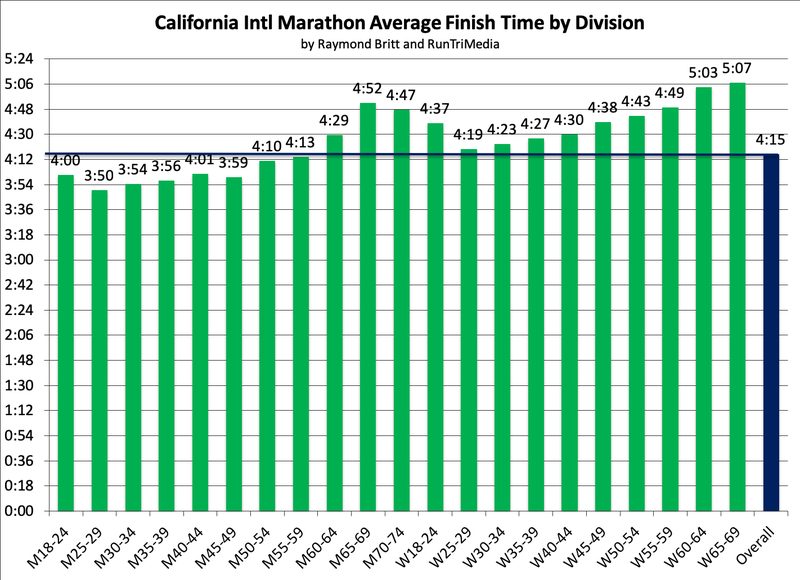 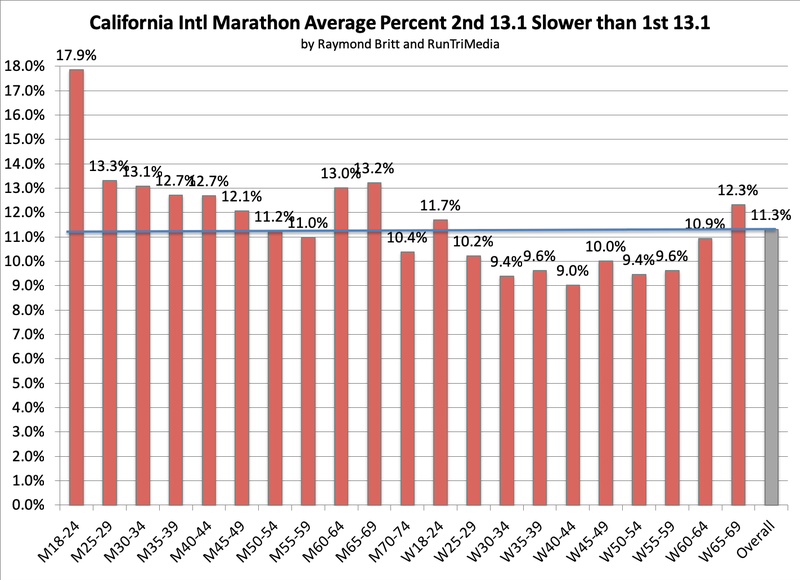 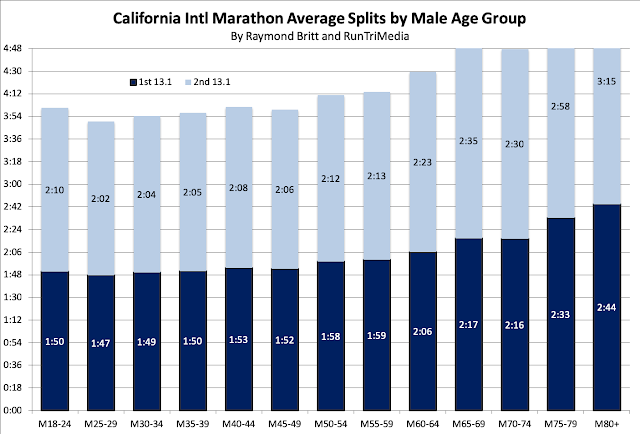 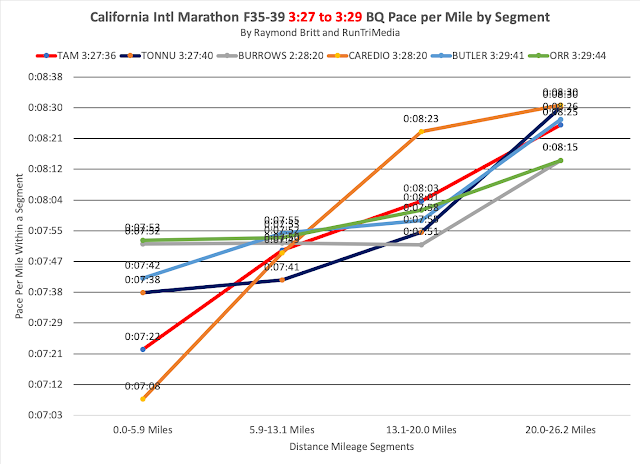 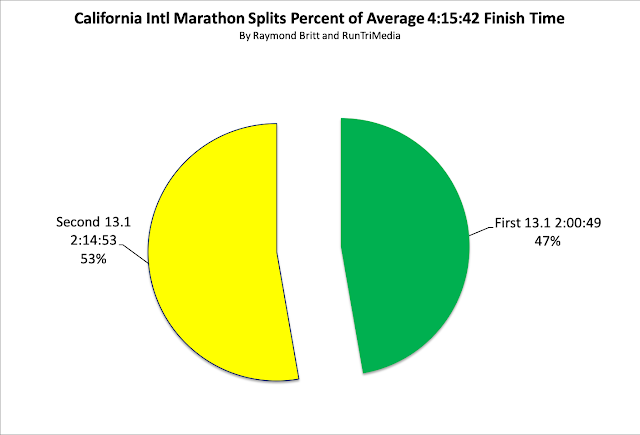 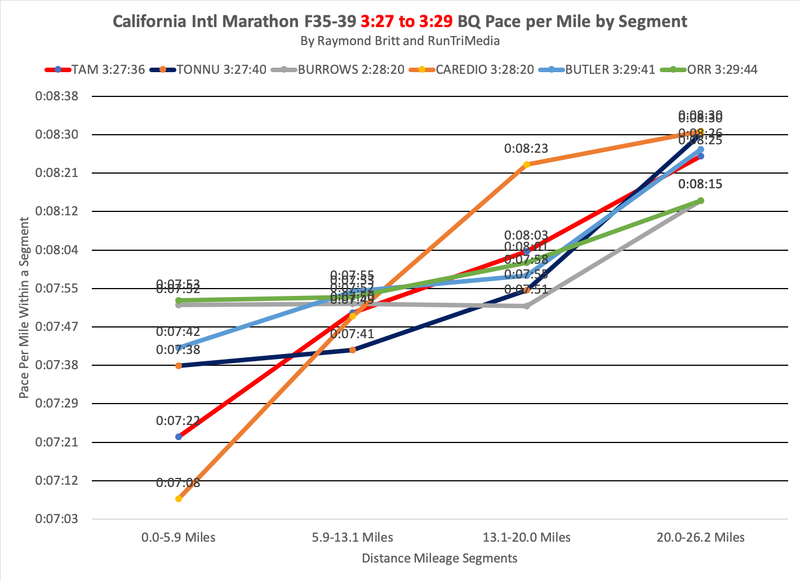 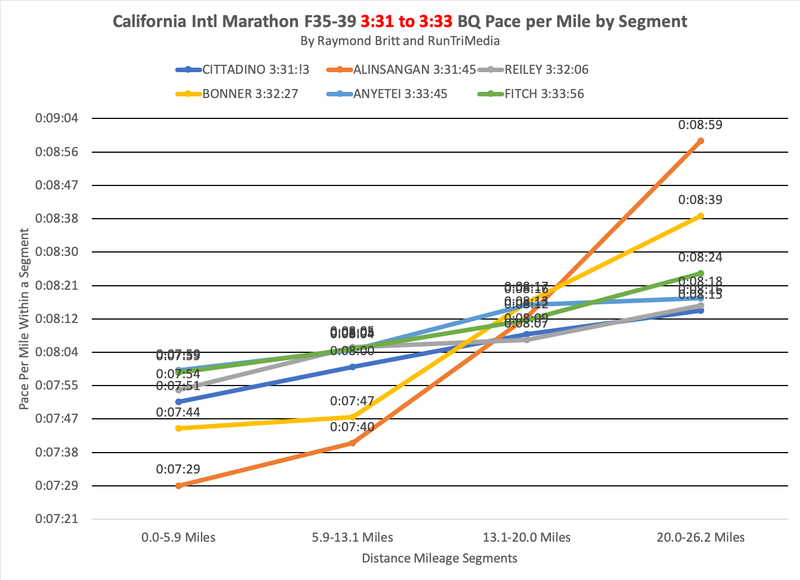 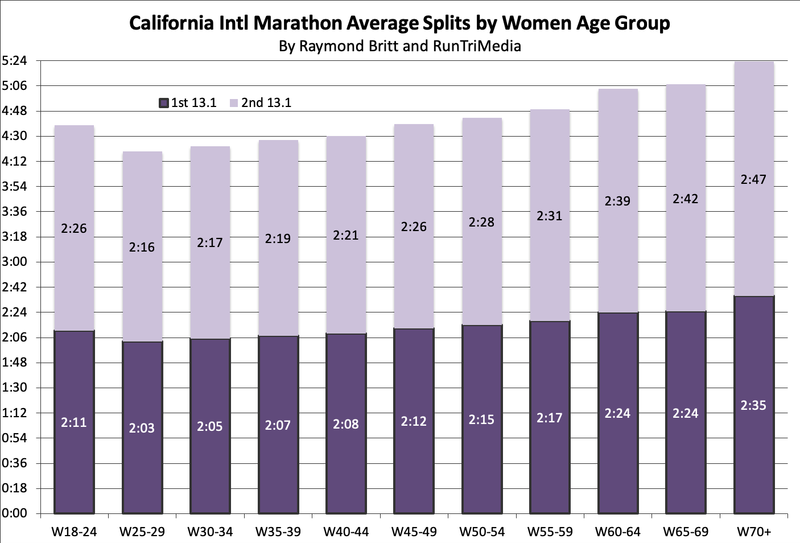 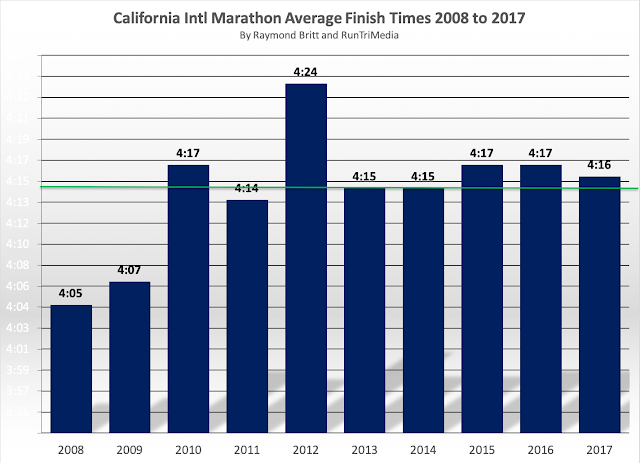 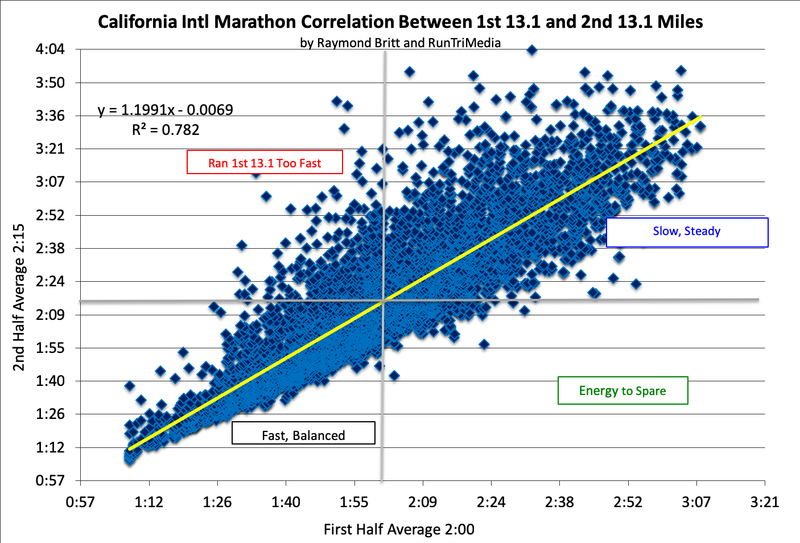 The popular California International Marathon (CIM) offers one of the fastest major marathon courses in the country (average 4:15 over the last 10 years), and is among the best races to run a Boston Marathon Qualifying time. 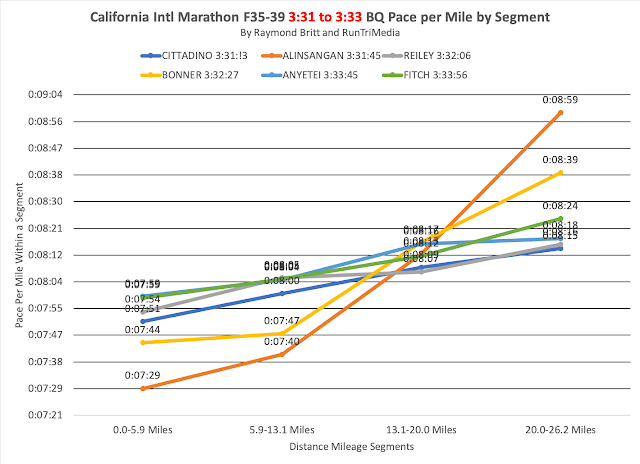 We've run the numbers to let you know what to expect as you race more than 300 feet downhill from start to finish. 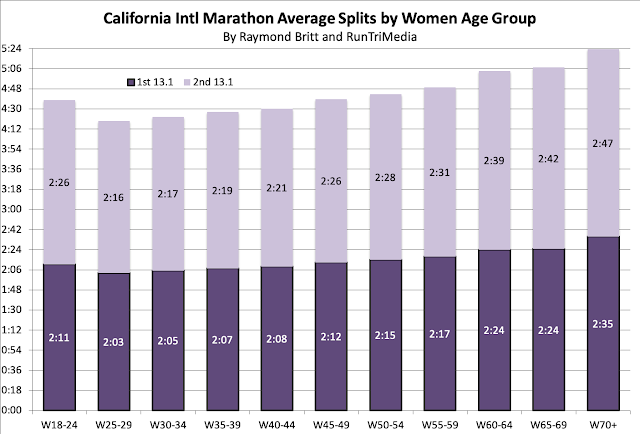 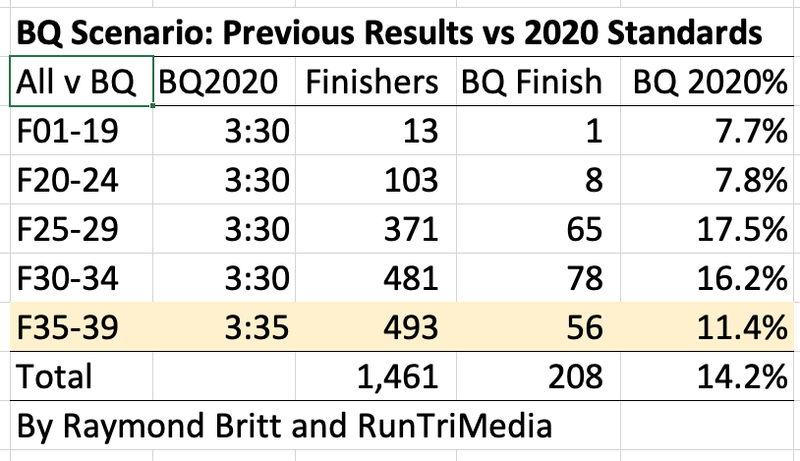 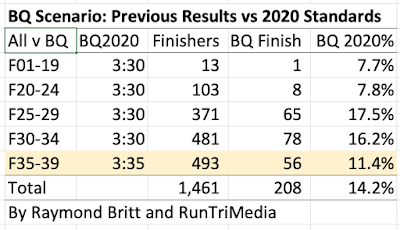 First the headlines, then detailed charts by age groups, splits, pacing examples, Boston qualifying prediction examples, and more. 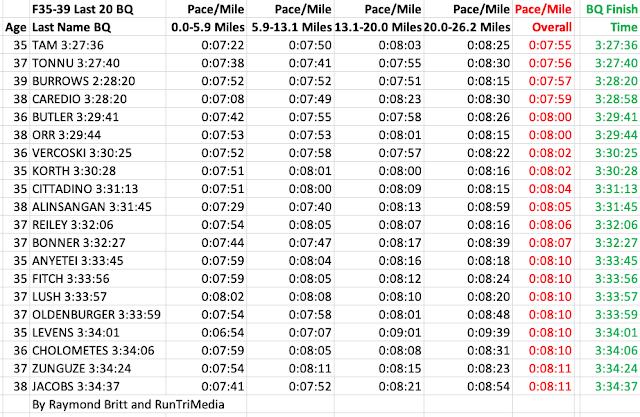 For more. 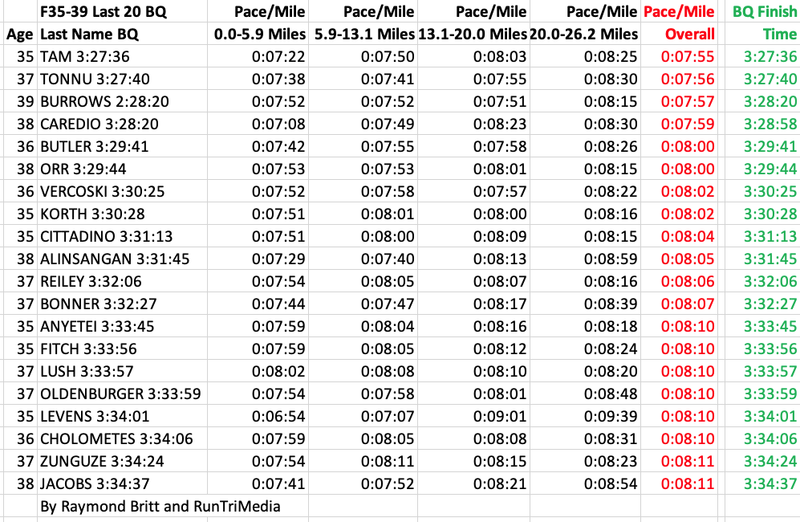 visit the Home Tab for the site index. Or for other specific marathons we've analyzed in depth: Ironman World Championship, Boston Marathon, Chicago Marathon, New York Marathon.